It's been a while so this post is a tad bit long so grab yourself a cup of tea, and I'll wait right here for your return. I'm so excited that I was able to finish the hand embroidery yesterday on my newest design. I'm calling it my forced handwork day because we lost power in the morning yesterday and it didn't come back on until later in the evening and even then it was off/on, off/on, off/on so much that it threw our furnace into a fault code and we lost heat until today at 11 a.m. Needless to say waking up at 4 a.m. to a 55 degree house was brrrrrrrrrrrrrrrrrrrrrrrrrrrrrrrrrrr. Now that I've warmed up, it has been sandwiched and is ready to be pinned for some light machine quilting. I can't wait to hang it on the wall. Creating and stitching the nativity scene gave me quiet time to reflect on the birth of Christ and His sacrifice of leaving His throne in heaven to become flesh on earth. He did this for all of us everywhere and for every generation. I want to hold onto that kind of love every day of my life. I try to imagine the angels shouting praises at His birth and telling the shepherds out in the fields. Oh how my heart soars contemplating how the shepherds must have felt seeing and hearing an angel telling them about their Savior being born and then going to see Him lying in the manger. My inspiration to design this scene was from a Facebook picture of a Santa Claus scene that had chalkboard fabric in the corner where you could write how many days it was before Christmas. I wanted to make something similar that reflected the reason for Christmas. Initially, I included a chalkboard area at the top, but it just didn't work design wise no matter how much I fiddled with the layout so I eliminated it and went with the Joy heart ornament instead. I also added the three wise men where the tree is but again it just didn't work. The size was off and it just felt wrong. Once I added the tree and changed the animals from side facing to front facing, it was perfect. If you like hand embroidery using simple stitches (back stitch and stem stitch), you will love making this for yourself. Once I drew the design on the fabric, I painted in the areas and then went back and did the hand embroidery. You could just as easily add in some applique if you wanted to. 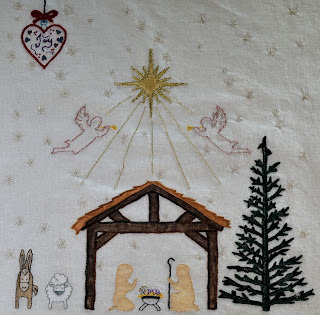 I have not written up specific instructions, but if you are comfortable transferring designs to fabric and want to get a start on making your own nativity, post a comment below and make sure to leave your email address so I can email you the pattern. I am offering the design for free until the end of December at which time it will available to purchase with instructions. Now onto gifts completed so far. 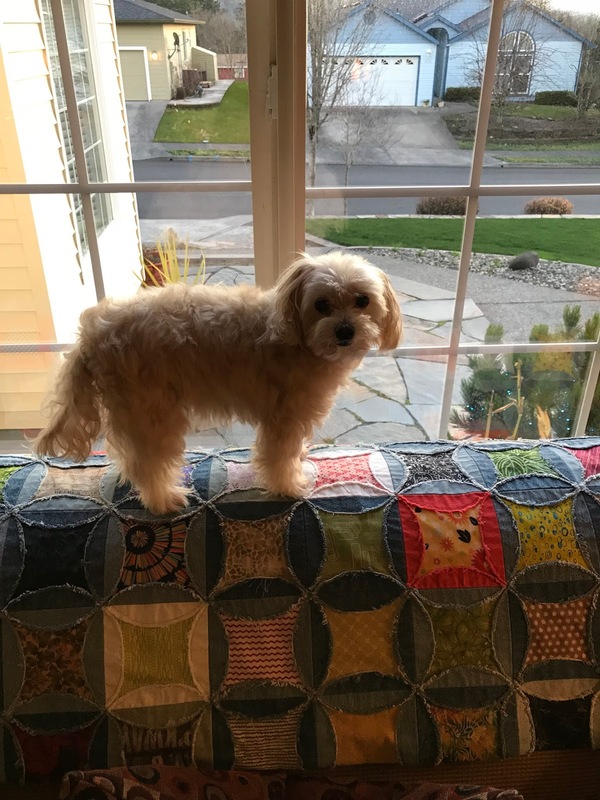 First one is a pillow. The design for the embroidery is one of Jenny of Elefantz. She is a wonderful prolific hand embroidery designer. If you don't know of her and her wonderful patterns, you are in for a treat. Head over there and be ready to be wowed. Next is one of several ornaments that I've been making this month. I joined an ornament exchange this year and made this for my recipient that lives in Canada. I mailed it on December 1 with some other goodies that I'll share later. I sure hope it arrives safely and on time to her. I plan to add another post on how I made it with the red insert you see so stay tuned. I had a childlike moment of wonder and discover while playing with it. Of course, I had to add a bell to it too. This particular one's insert is red and silver. I made another one with gold and red and it turned out beautifully too but I forgot to take a picture of it. 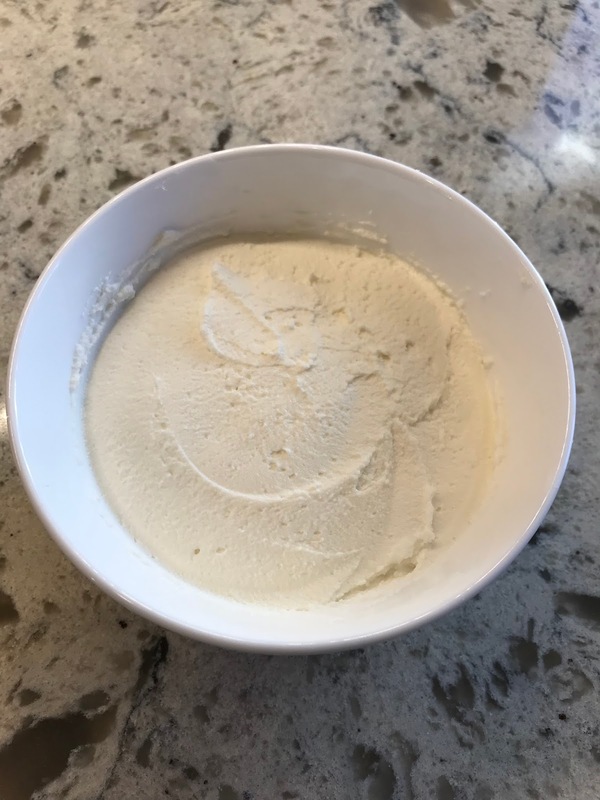 Next was a homemade food item --- Cream Cheese! How fun is that. I must admit that my first attempt failed but I'm pretty sure it was because my lemons had lost too much of their acidity. For the next batch, I used white vinegar. It worked perfectly! I'm adding the recipe link here because you know you want to make some too. An added benefit is that she has a video showing you how to do it. I love listening to her accent too! Couldn't resist showing Mr. B being all pouty because I made him take a bath. This is right after him getting blow dried and he was none too happy with me. I also attended such a fun get-together at a friend's house. Everyone brought such wonderful food and we each brought a wrapped ornament. 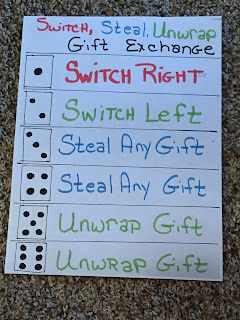 We had a game where each person got a wrapped package and then each person got to roll a dice. 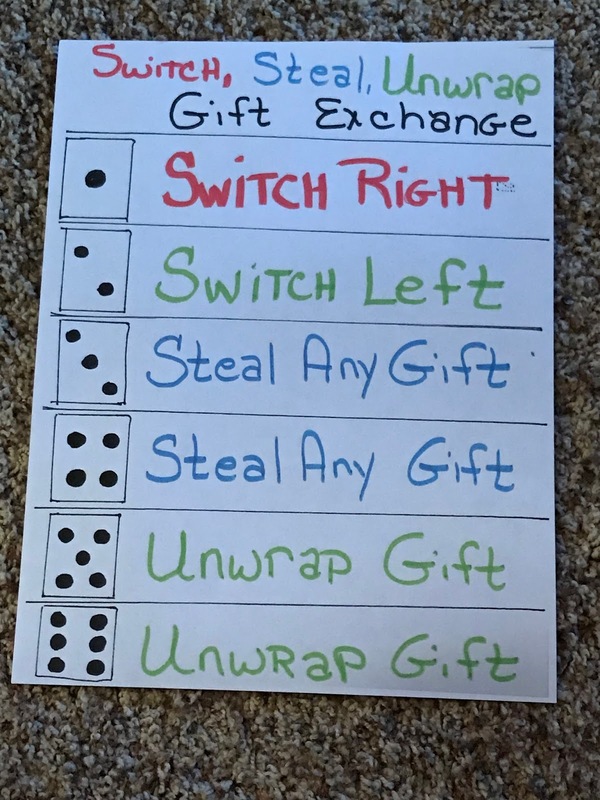 I've included a picture below so you can see what had to be done based on how the dice rolled. It was such a blast. I had more fun watching others try to hold onto the ornaments they wanted only to see another person steal it away and then have it stolen from them. Once the last ornament was unwrapped, whatever ornament was on your lap was the one you went home with you. I had such a great time. Enjoy your weekend no matter where you are and don't forget to let me know if you would like the nativity scene pattern in the comment section. Please don't forget to let me know your email. The majority of posters have a no-reply which means I can't see your email and will not be able to email you the pattern. I'm loving the nativity scene and you know how much I loved the bell which. . .boo hoo. . .didn't get to come home with me. It was a fun game and regarding the broken bones. . .smashed fingers really hurt as do smashed toes! I would like a copy of your pattern! Jojo you are so talented! I sent you a Christmas and thank you once again for the pillow. I love it!